Is your on-premises ERP solution holding back your business? 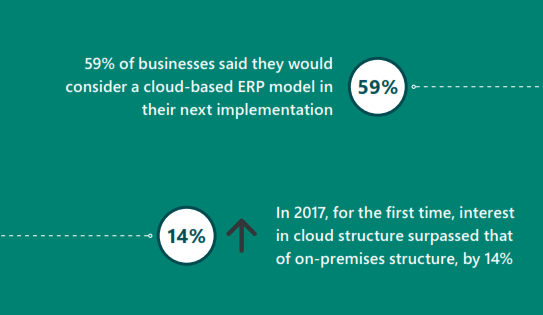 Most likely, according to new research made available in our new eBook on the advantages of cloud-based ERP. More than 60 percent of surveyed companies still rely on an out-of-date ERP solution—at least five years old—which can act as an anchor, impacting profitability by dragging down business growth and innovation. Companies still operating on-premises ERP systems suffer a multitude of issues. Employees may rely on manual record keeping and duplicative processes because data and documents tend to be stored in multiple databases, in multiple formats, across multiple departments. That’s a recipe for missed deadlines and potentially-costly mistakes. Over time, teams often supplement legacy ERP software with standalone applications disconnected from the ERP—a patchwork of software and services that results in disjointed processes and a broken flow of data between departments. Legacy ERP systems are a headache for IT, too. Managing the on-premises software means juggling a host of hardware updates, security concerns, compliance issues, and policy requirements; not to mention all of those costly licenses for products and services that are included in a cloud ERP solution like Microsoft Dynamics 365 for Finance and Operations. Meanwhile, four out of ten organizations have moved to cloud ERP solutions, unblocking barriers to greater functionality, corporate agility, data security, and reduced IT dependence and cost of ownership. In addition, research shows that cloud ERP is accelerating digital transformation initiatives, doubling the likelihood that they have integrated e-commerce and mobile device capabilities and increasing business analytics and intelligence activations by 50 percent, compared to on-premises users. What’s the future for on-premises ERP? According to market intelligence from Aberdeen, we’ve reached the tipping point for cloud ERP adoption. Nearly 60 percent of surveyed businesses will consider a cloud-based ERP in their next implementation. And interest in on-premises models has plummeted by 30 percent. Watch the video to learn the advantages Copper State realized when they made the switch—and explore the resource below to raise anchor and start your journey to a brighter future in the cloud. Nucleus Research: ERP Technology Value Matrix 2018 (PDF). 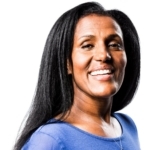 A must-read for any organization considering a shift to a modern, cloud-based ERP solution. This year’s report places Microsoft Dynamics 365 for Finance and Operations in the Leader category, citing our vision to unify people, products, and customers across the enterprise ecosystem. What’s new in the October 2018 release for Dynamics 365 for Finance and Operations. Read the release notes for a detailed list of new updates and watch an informative demo video to get a high-level overview of the newest capabilities, including extended intelligence and insights features and deeper integrations with other Dynamics 365 applications. 2019 Finance Trends Report. Explore six emerging finance trends that will help finance professionals better evaluate and manage risk, build innovative corporate strategies, and grow their businesses. 2019 Manufacturing Trends Report. New research reveals six emerging manufacturing trends that empower manufacturers to design more intelligent operations and increase the speed of doing business.